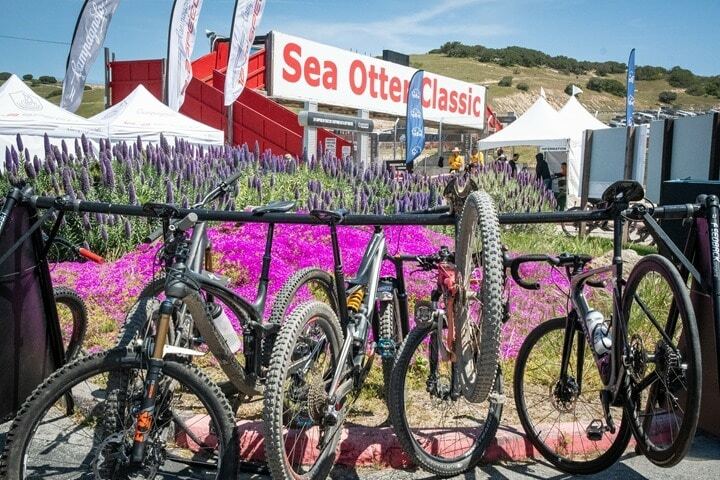 Last week was the annual Sea Otter Classic cycling festival. 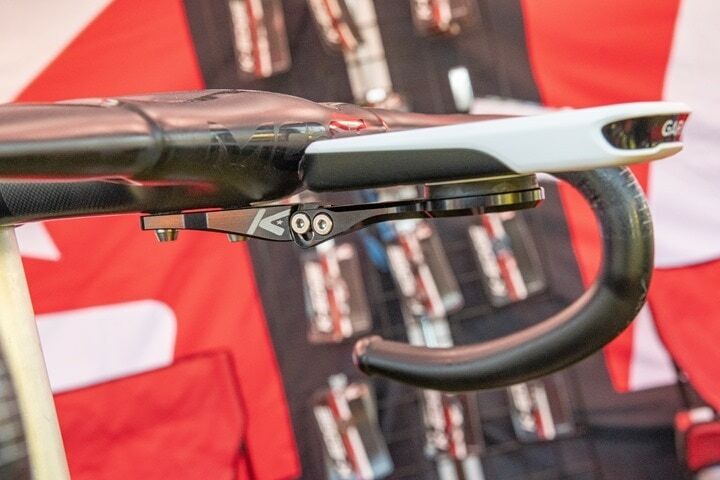 It’s part trade show, part consumer show, and part bike racing scene. 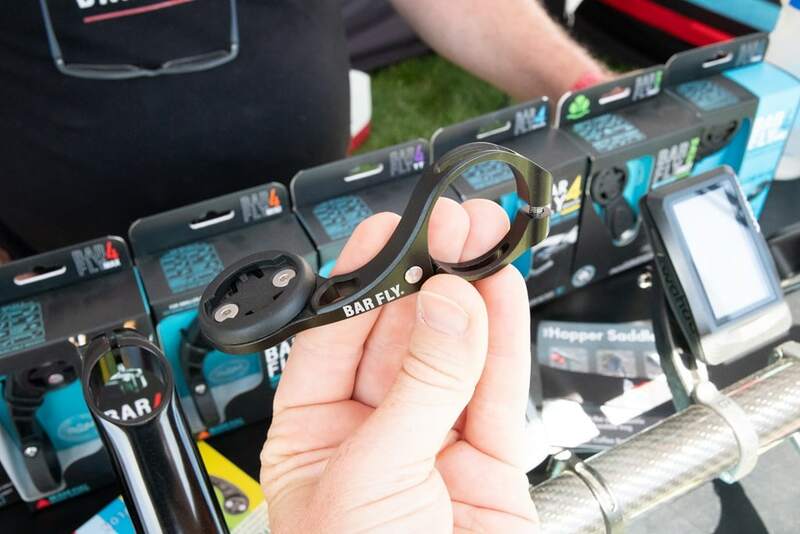 Also, there’s free beer at sunset at the CLIF bar booth…and you get a free metal cup for drinking said beer. Just sayin’. Though I suppose that’s not sports tech. Which isn’t to say there wasn’t sports tech – there was a fair bit of it, but not as many announcements as years past. I think partially because the larger companies are realizing (duh) that they can command more attention at launches held on either side of Sea Otter. For a company like SRAM, Garmin, or Wahoo – there’s really no need to announce at Sea Otter to get the media attention they want. So they’ll find other dates instead. 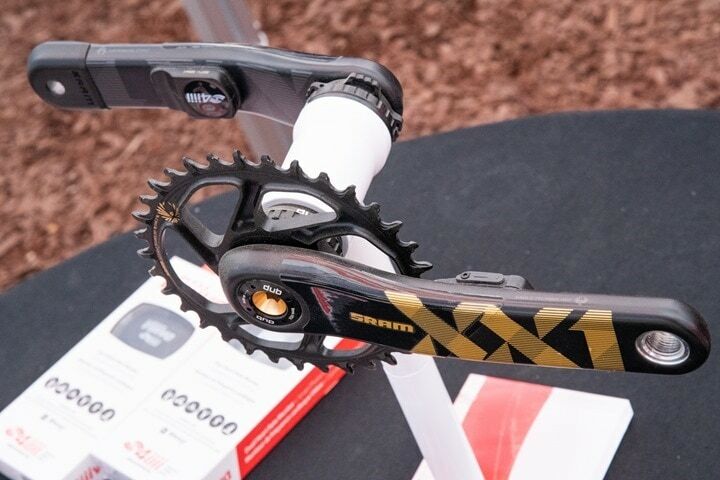 We saw SRAM do that with Force AXS two weeks ago. So this year was a bit quieter in that respect. Still, here’s a slew of items that were announced or, at a minimum, updated during the show. Though regrettably, none of which involved free beer. 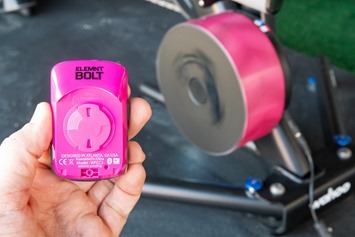 While 4iiii didn’t have any totally new products at the show, they did formally announce that their power meter theft tracking solution was now available to 4iiii power meter owners. You’ll remember I outlined this solution back at CES in January 2019, which effectively makes your 4iiii Precision power meter a beaconing node on the Chipolo network (one of a few networks, like Tile, that allows for finding your goods that are lost/stolen). 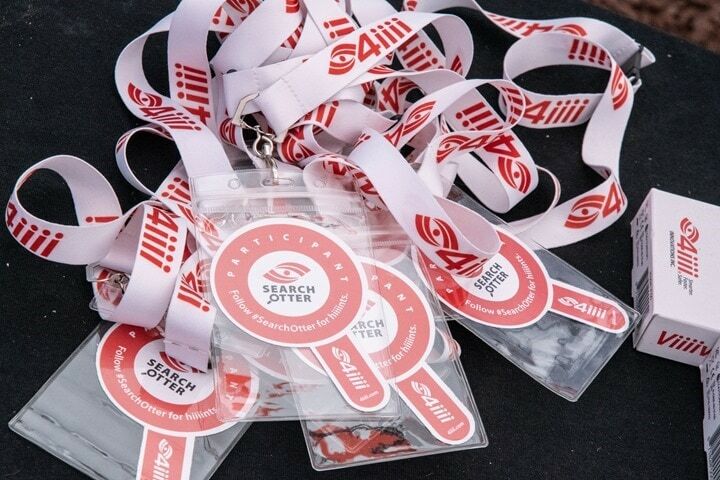 At Sea Otter they actually had a ‘search and win’ game where there were 4iiii power meters stashed on the grounds and you could go out and win one, with a few stashed each day. Apparently GPLama went in search of one, but made it about 90 feet before getting distracted by the CLIF bar stand. In unrelated news, CLIF reports a pallet of bars has gone missing. While I haven’t played with the tracking tech in real-life yet (and didn’t have time for the Easter Egg hunt), I did bring home a complete Precision Pro dual unit with it enabled, which will be the first time I’ve tried that specific unit out on my own bike (I’ve ridden it on some test bikes here and there at events). So expect a full review of that power meter in the May timeframe, inclusive of the theft tracking tech. I’d never thought I’d be talking about a trainer from laptop company Acer, yet, here I am. 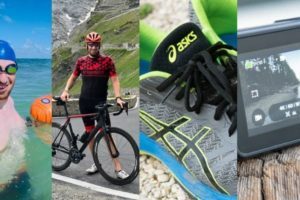 Xplova is Acer’s cycling focused brand, where I’ve touched on some of their products before – such as their head unit. 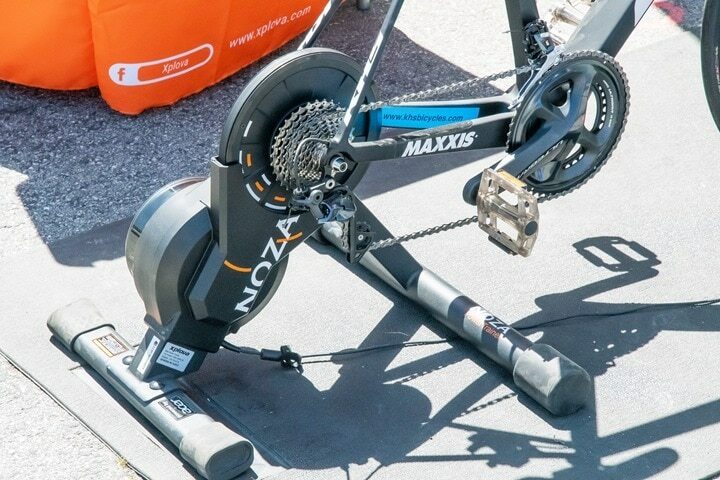 Back a few months ago the company quietly showed their Xplova NOZA direct drive trainer. The trainer provides 18% grade resistance up to 2,500w and to a claimed accuracy level of +/- 2.5%. Additionally, the company notes a rather quiet decibel level of 58db, which would be on the ‘almost silent’ range of trainers. 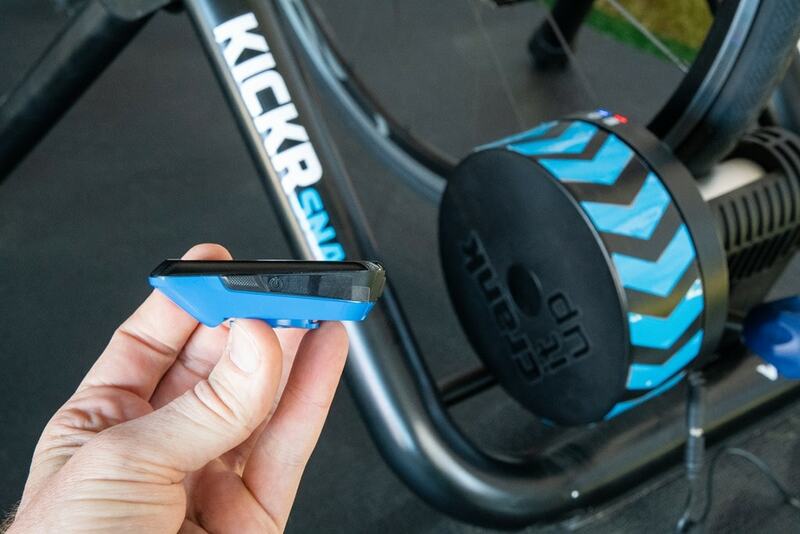 The trainer has all the usual protocol support, including ANT+ FE-C and Bluetooth Smart FTMS control – so it’ll work with all your favorite apps like Zwift, Kinomap, Sufferfest, and TrainerRoad – among countless others. Pricing-wise, the company has a retail price of $899 for the unit, however, if you placed an order at the show then the price was $699 (and other pre-orders have been at the $799 price point). This is notable because it effectively establishes a bit lower floor for where Xplova could go with the pricing of the unit, as a way to compete against the branding from Wahoo, Tacx, Elite, and others (which is frankly the only way you can compete with well-established giants when your specs are otherwise identical). Of course, given this was an expo there wasn’t really a way to test out things like accuracy, or dive deep into road feel. Still, I did do a few quick sprints on it, and the road feel wasn’t bad. Certainly in-line or exceeding expectations for an $899 price point, and definitely above expectations for a $699 sale price point. The company says they’re still in the pre-order phase, but are expecting to ship sometime this summer (probably July-ish). So stay tuned for that and a review once I’ve got a unit on my turf. Finally, note that I did get a closer look at the newer Xplova X5 Evo, which is a color mapping touchscreen unit complete with a camera built into the front of it. I had previously reviewed (sorta) the prior generation unit with mixed feelings. It had a lot of potential, but fell apart at some of the execution bits. This new unit seems to take on those challenges with functions targeted specifically at addressing those concerns. 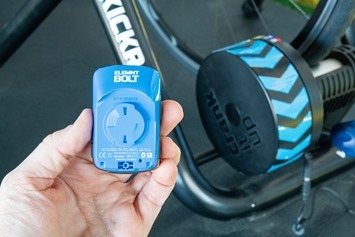 While I didn’t bring a unit home, the company says they’re working to get one in my hands to poke at on an actual bike. Like before, it’s certainly not a Garmin killer, but it’s also not a dud either. 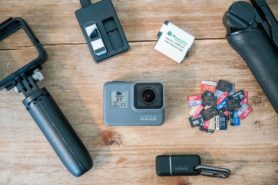 They’ve definitely made progress and have features that nobody else has (the camera stability looks much better now), which will undoubtedly appeal to people – and also be areas where their competitors could learn from as well. Anyway, more on that down the road. We’ve got a handful of new mounts from Barfly being launched here, starting with the new Race Mini ($50), which is an all-metal mount that’s designed for smaller head units like an Edge 520 or Wahoo BOLT – but not compatible with the larger Edge 1030 units. In addition, the company will be selling an all-metal GoPro underside attachment mount for $25 available next month. That piece attaches under your existing all-metal BarFly mount. To me, that’s a wee bit steep for this particular price point, though I suppose depending on which head unit you have – you may not have a ton of choice. Next, there’s an updated Race Spoon mount, available for $50 starting June. 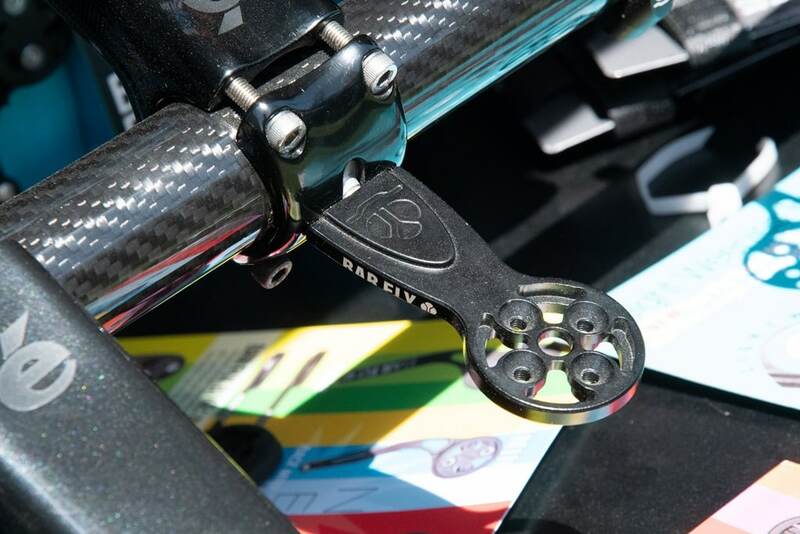 This unit is designed to mount under an EVO Stealth bar with inline holes, alongside other integrated handlebar systems. 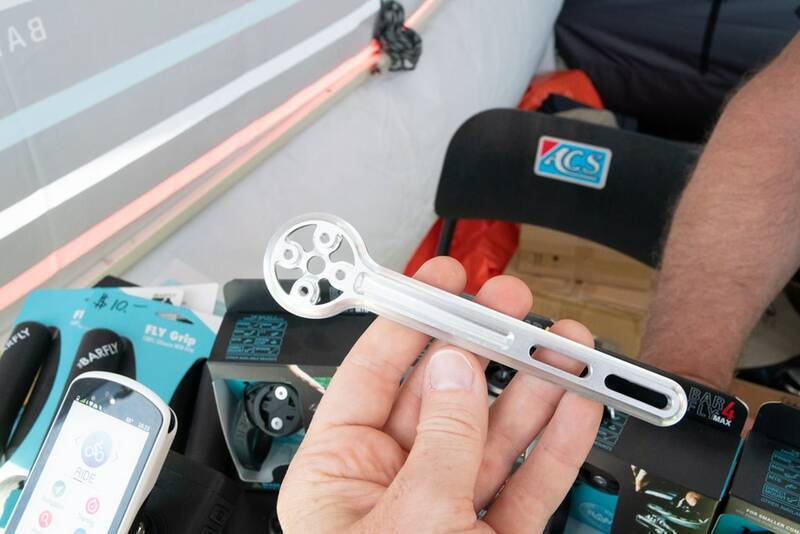 They noted that this all-metal mount (shown here prior to being painted black) will end up being a bit lighter than the previous generation Race Spoon. 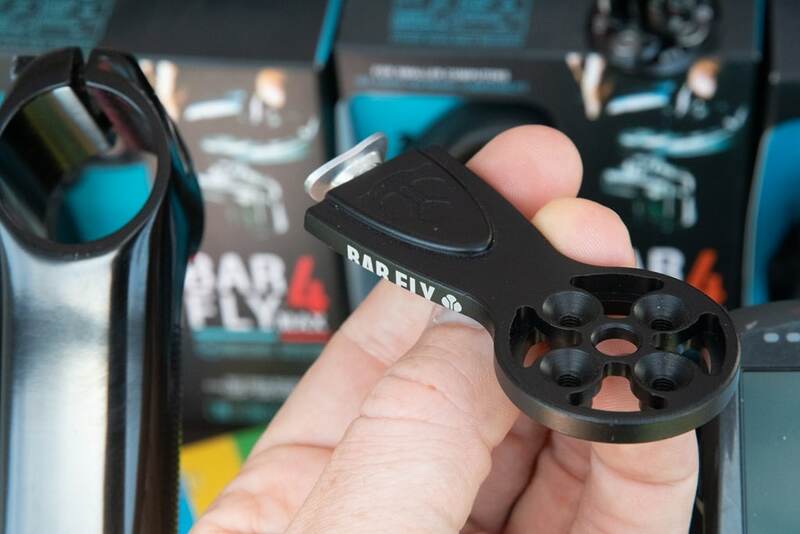 Finally, earlier this year the company announced the Barfly Race Direct, which is a Cervelo focused mount available for $50. However, that mount isn’t designed for heavy payloads, so the company doesn’t recommend it if you plan to dual-stack a head unit and GoPro below it, since there’s a chance it could snap and cause serious sadness. This wasn’t launched at Sea Otter, but I did get to take one home. So thus, it’s getting a brief mention. I got a hands-on look at the Rider 450 unit, which is their $200 cycling GPS with navigation. From a routing standpoint it’s roughly equivalent to a Wahoo BOLT. In the sense that you’ll get turn by turn directions, but only for routes loaded to it from a phone/site (versus maps on something like a Garmin/Sigma/Hammerhead that you can route to an address directly on the head unit, no phone involved). 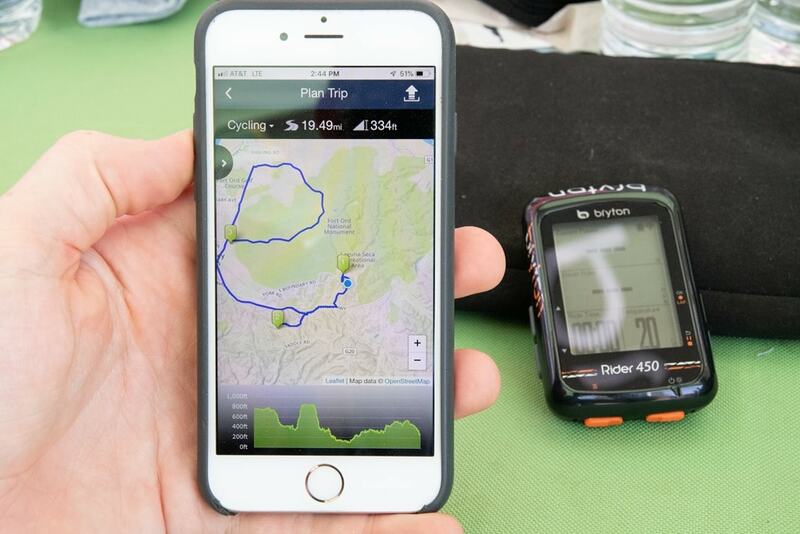 Though unlike both Garmin/Wahoo, Bryton can set up multi-point routes on their apps (meaning, you can just tap-tap-tap your way to creating a route) and instantly sync the turn by turn directions to the device. 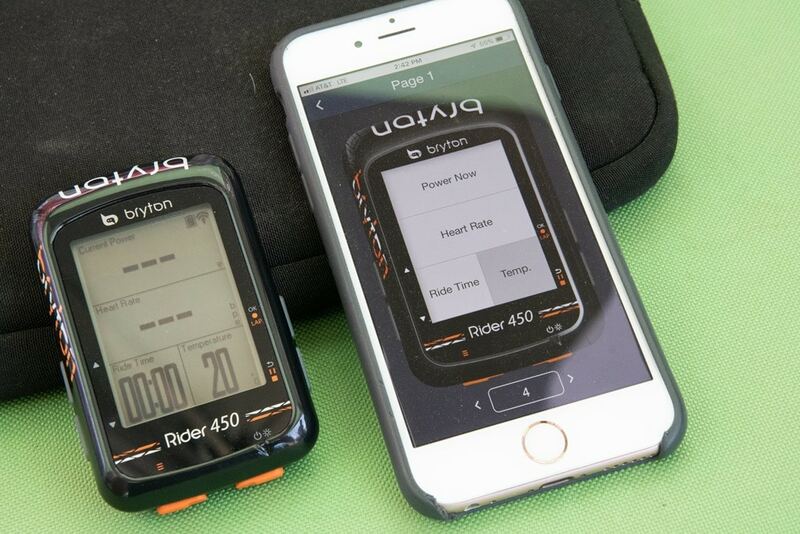 The Bryton Rider 450 is $200, which is cheaper than Wahoo’s BOLT at $249 or the Edge 520 Plus at $279 (though again, that has a deeper mapset). Obviously, tons of differences between these units that I can’t begin to touch on in this single post. 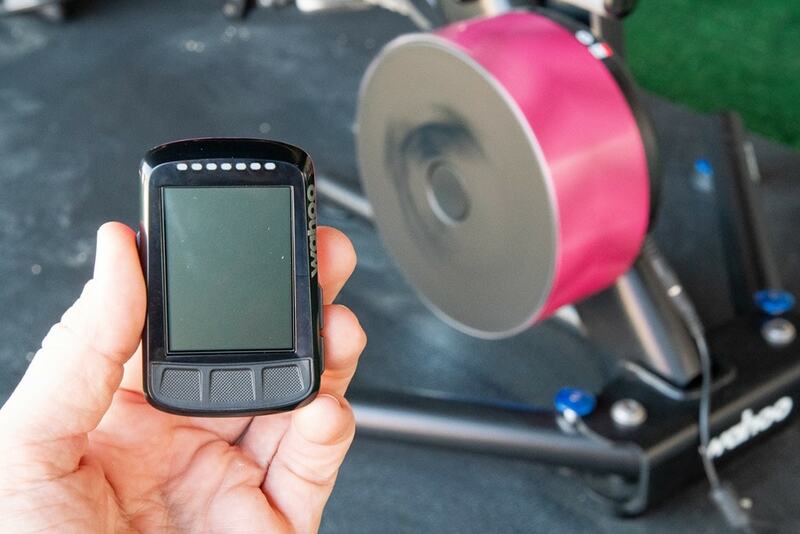 And I know many will appreciate that the Bryton can be configured on both mobile phone or the unit itself. Wahoo only allows on-phone configuration, while Garmin only allows on-unit configuration. A company that swings both ways understands both preferences. Again, these are just two features that stood out to me from the list of things shown. As part of some sort of long post I’ll dive into the nuances of things that inversely may not be there (or may not be as one hopes – just like any other head unit on the market). It’s been a while since I’ve done a Bryton review, mostly since there was low interest a few years back – and honestly I still don’t hear much interest from folks. So consider this a tester. Note that there’s technically both the Bryton Rider 450 and Aero 60. Functionally they’re identical from a software standpoint. It’s just that the aero unit has a different mounting system. Same unit, different mount. After taking one look at the mount though, I decided that I needed to preserve my handlebar dignity as best as possible, and just went regular Rider 450 which has a simple quarter-turn mounting system versus a pancake spatula sticking out the front of my bike. But more on my first ride later, probably next week once I finish unpacking my suitcase. 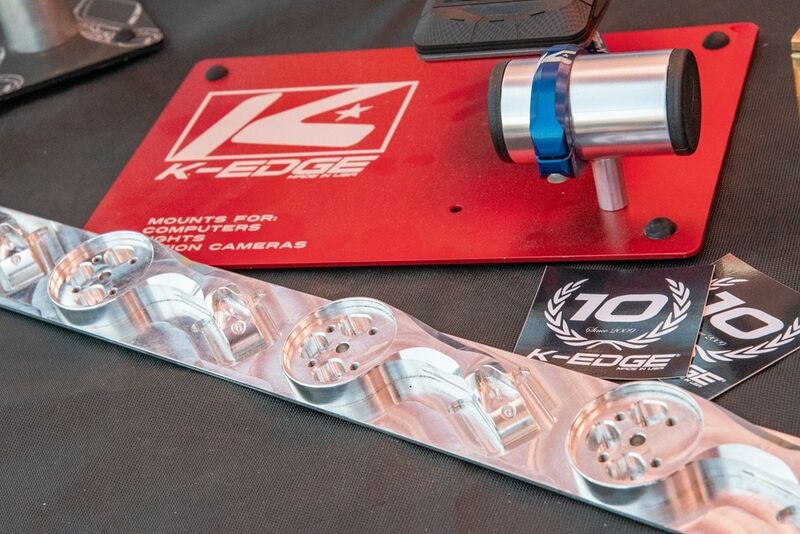 K-Edge was on hand celebrating their 10-year anniversary, and in doing so announced their new ‘IHS Mount’ (that’s the exact name), which stands for Integrated Handlebar System, and does exactly as it implies – mounts (integrates) your device to handlebars that don’t have typical round bars, by using the semi-standard dual-hole system under the front of the handlebars. 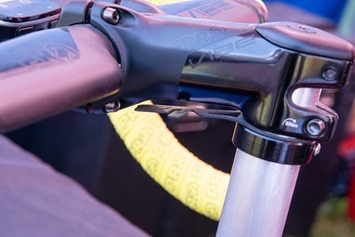 Of note is that Canyon also just went back to this centered two-hole system for their handlebars/bikes going forward, making it easier to centerline mount items. Also, it has a center pivot point, allowing you to get the exact angle you want. 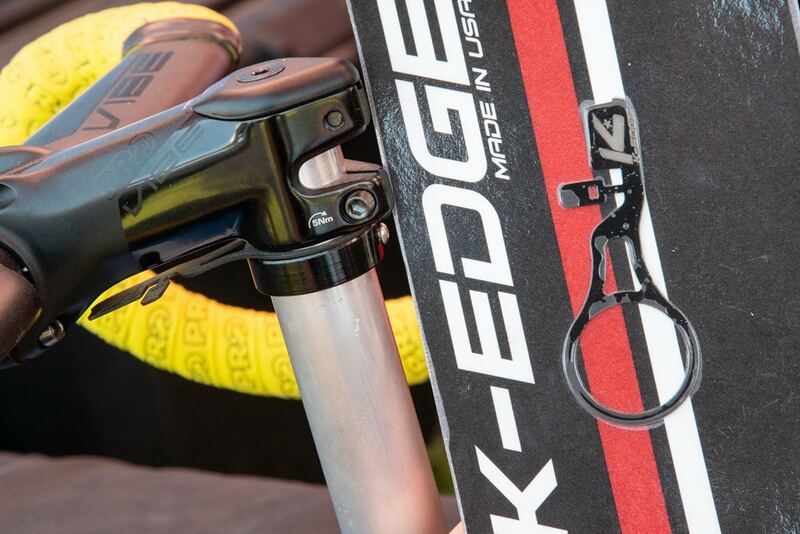 Like all K-Edge mounts, you can get it in the swappable insert system, such as swapping Garmin for Wahoo inserts. Additionally, it’s GoPro compatible. The IHS mount is $49 and will start shipping June 1st. 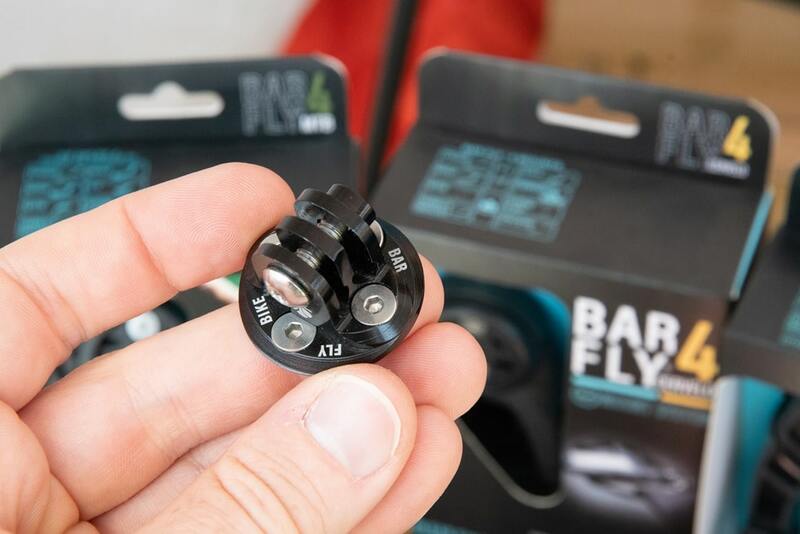 In addition, back this past winter the company started shipping their Di2 junction box holder, which is a tiny little metal sliver that slides into your stem/spacer stack but doesn’t add any (meaningful) height. 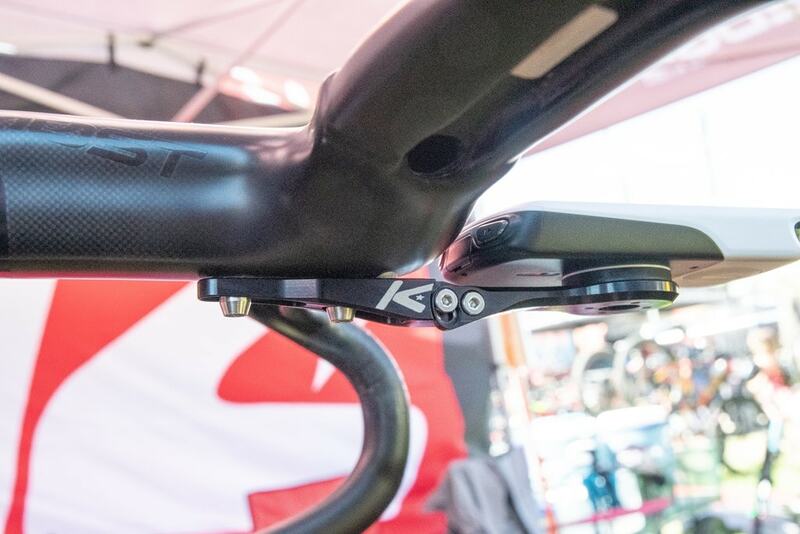 The design allows a tiny bit of flex in the junction box, and is now used by a bunch of pro teams that don’t want to dork with the fit on their riders for other solutions. Best of all, it’s only $14.99. I can’t remember the last time I bought any sports tech accessory for that cheap. You can see it below in the packaging, as well as attached to bike pointing left. And again, that bit is already shipping. Finally, in the random trivia department – the company is now used by 12 WorldTour Pro Cycling teams this year. This is going to be the shortest update tidbit of all updates, and is merely to note that Stages is still chugging on getting their last-summer announced Stages Dash M50/L50/L10 units shipped. The company has been over the top honest and (daily/hourly) involved in the comments section of my previous January post on the units here, but the update for Sea Otter is simple: Hopefully next month. Granted, that’s roughly been the message since…well…November. So we’ll see. Still, they are looking nice, especially the brightness levels as before. After much hype, Wahoo has announced two new pieces of hardware: Pink, and Blue. While many people thought/hoped this would be new units, the reality turned out to be a bit more baby nursery themed. A topic we chatted about on the podcast yesterday. Still, despite our collective objections (and apparently also extending to those on Twitter) to the way this was launched, the reality is that Wahoo’s previous special edition colored units did sell very well (the red and yellow variants), and Wahoo says people had long been asking for these two colors as well. So this move does make complete sense, with a relatively low cost to the company. Both are available today (select ‘Limited Edition’, then either Pink or Blue), for as long as the ‘limited edition’ timing lasts (no specific known end date/time). With that – I’ve got a few other sideshow Sea Otter things I’ll post about in the coming days, including my SRAM eTAP Force AXS hands-on post as well as a closer look into the TrainerRoad outside workout features. Thanks for reading! 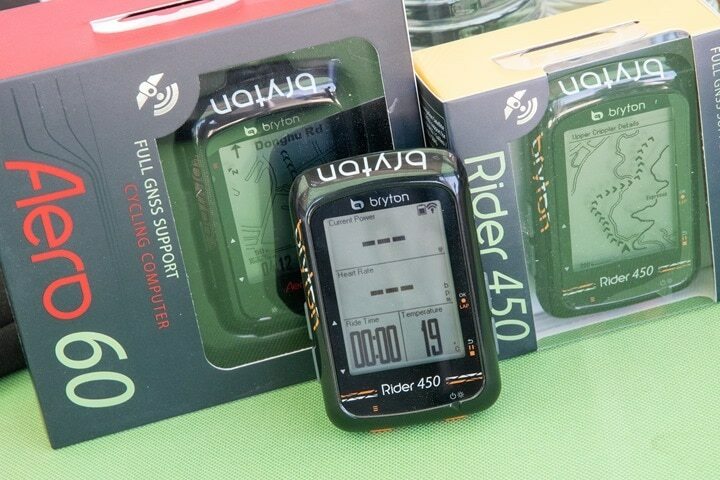 I would be interested in a review of the Bryton Rider 450 – at $200 it looks like an good value, it can be actually bought for around $150 with a simple google search, which makes it a fantastic value. I’ve had a Bryton 530 (lost in crash) and now a 310. Both have been great, best thing is the massive battery life of 35 hours or thereabouts. You can find the 450 as low as us$150 on ebay. Can’t wait for the DCR review. Larimer I think the Bryton and Lezyne products are very similar indeed. I have an Enhanced Super GPS and it gives me long battery life, I can set it up either on my phone or the unit itself. You can also create drop by drop routes on the phone and send it to the unit. Oh and I’m sure the prices are exactly the same too. OK, this photo intrigued me at first. 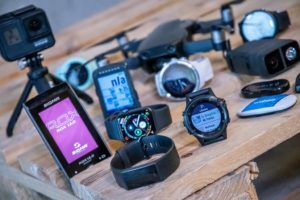 Now, as someone in the Garmin ecosystem, it just pisses me off. 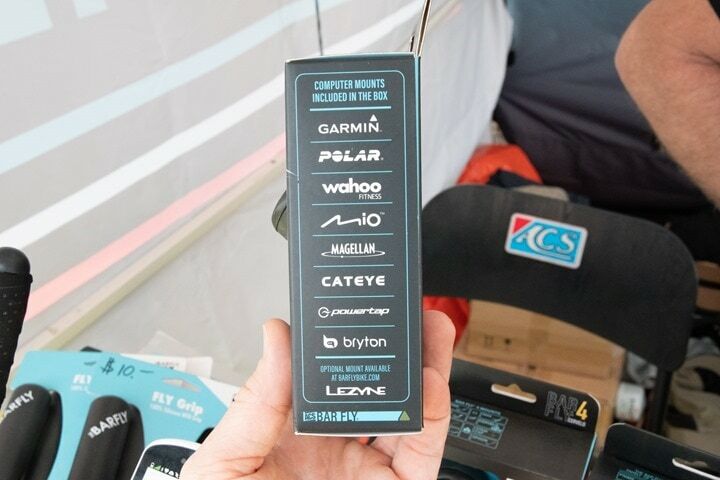 How in HECK is Garmin, in 2019, *not* already doing device config and backup via the Connect Mobile app…when a relatively niche company like Bryton is? WTAF? I guess it goes both ways. Most other companies (Apple, Fitbit, Wahoo, Polar, Suunto, COROS – to name a few), don’t have any form of on-device data field modification. Personally, if I had to choose, I’d rather be able to make data field changes on the fly from the device itself. 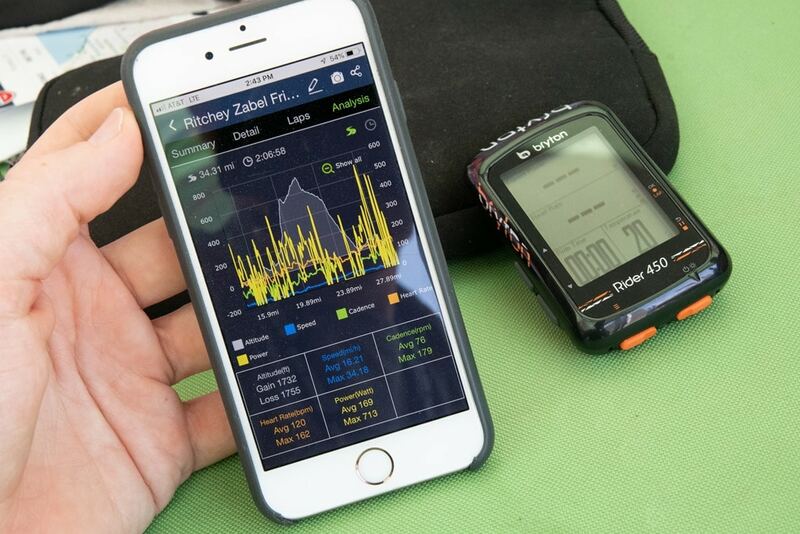 On the flip side – I agree that in 2019, Garmin needs to find a way to get mobile app data field modification in the pipeline. The Fenix range doesn’t support data field configuration on smartphone/web. I don’t really care where the unit is setup. However, for me the thing I would like is to be able to backup and restore (even to a different unit) a device configuration. 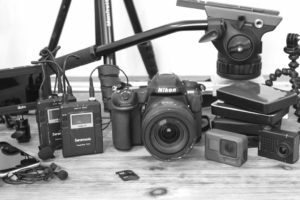 I have had times where I had to do a master reset and have lost all my setup information. It is a huge pain to try and recreate it and get it back to the way I liked it. So how is that Garmin still can’t / won’t make a device which allows for both on phone (even on desktop if phones are that hard!) setup but makes you scroll through endless menus on devices to set an Edge up. That feature from the Bryton alone makes it worth looking at to see if it is good enough elsewhere to do the job. It’s not so much a case of whether it’s hard on desktop or phone, but it sounds like more a case of where to start. I think there may be a bit of ‘trying to boil the ocean’ given they have dozens of current outdoor/running/cycling products where trying to find a solution that accounts for moving between multiple devices with multiple screen sizes/limitations is tricky. Personally, I’d rather them just cut loses on older devices and simply go with: “As of X new product, we’re rolling the feature out, sorry if you’re not on that product.” – otherwise, I think this just goes on forever. The advantage that Wahoo has for example (with phone updates) is just having basically a single product (ELEMNT/BOLT – which from a codebase standpoint is virtually identical). I don’t know to what extend the Bryton products are the same in terms of the phone config piece. And finally, check out my note above this one regarding on-device vs on-smartphone. Hi Garmin (if you’re reading this). Google restores apps and settings from different model android devices, Apple lets you backup and restore to a new iPhone… I use an Edge 810 on the bike and would love to get a 1030 but I’m not interested in spending an hour or so setting up all of my profiles and data fields the way I like it again. The same issue will make me less likely to upgrade my 935 to a 945 if/when it’s released. 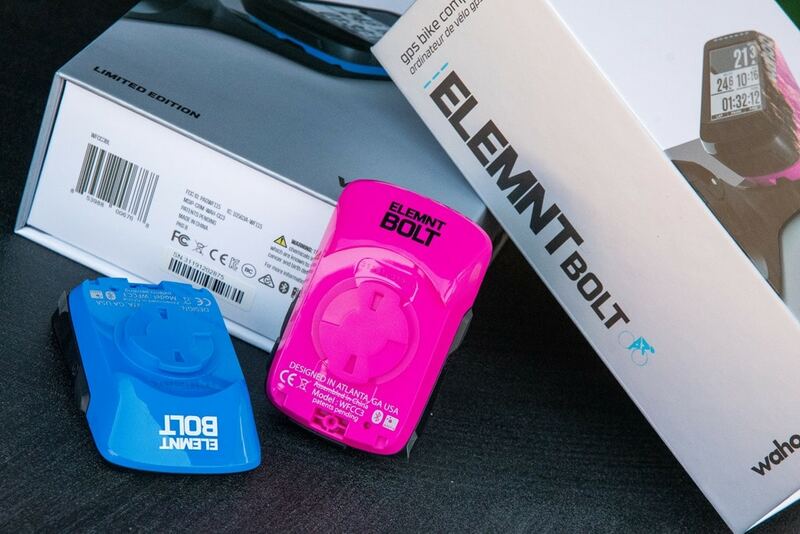 Yes, it looks like they may have intended to launch the Elemnt Roam but maybe something slipped at the last minute. 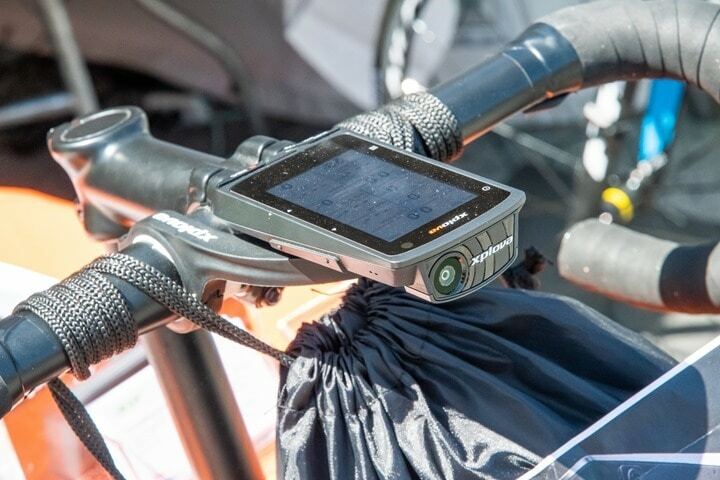 Photos have appeared on the internet… it looks like an Elemnt with a redesigned case and a colour screen. Also looks to have a couple of vertical lights on the left side, a la the original Elemnt. Looks like neither K-edge nor Barfly (nor any other companies) have made the leap to Garmin-style quarter turn mounts for Go Pros? No, and I suspect we wouldn’t see that. One of the key things to getting good footage on a mount is having it rock solid. If there’s any play at all the vibrations can be really bad. Would this be a bad to consider upgrading my 520 (battery life issues) to a new 520 plus unit? Not interested in touch screen 820. With the 830 apparently imminent, most of the recent deals have been on the 820. I’m quite interested in that Bryton review. Looking forward to read more about it from someone who knows what he is talking (writing) about. Ray – just so you know – the new garminconnect app on IOS (since when I don’t know) but is now able to do multi point route. That is to say, you can actually draw a route within the IOS GCM app itself. Prev it was just based on popularity routing. U set a distance and a general direction and off it does it stuff. But now there’s this new point by point you can do. And it’s pretty good too I would say. Ticks my boxes. Wow, that’s super-duper new. New enough that apparently some from Garmin don’t even know about it, since I asked about this function last week. Just tried it. Not bad, though, also, not ideal either. Seems really cumbersome compared to Easy Route, but I guess gotta start somewhere. The Android version appears to have similar, although it looks like it was designed by somebody who’s never tried to plot a route and implemented by somebody who’s never tried to follow one. Ray, you do realise that you move the market in this category, don’t you?” There are plenty of people (and cycling publications) out there for whom if you don’t consider it worth reviewing, don’t consider it worth buying. Of course, it might also be said that Bryton’s marketing department are falling down on the job if they aren’t creating some underlying interest. Looking forward to your review – to at least put some price pressure on some of the other players. Yeah, definitely understand that – but also cognizant of whether or not a device is making a dent in the market. 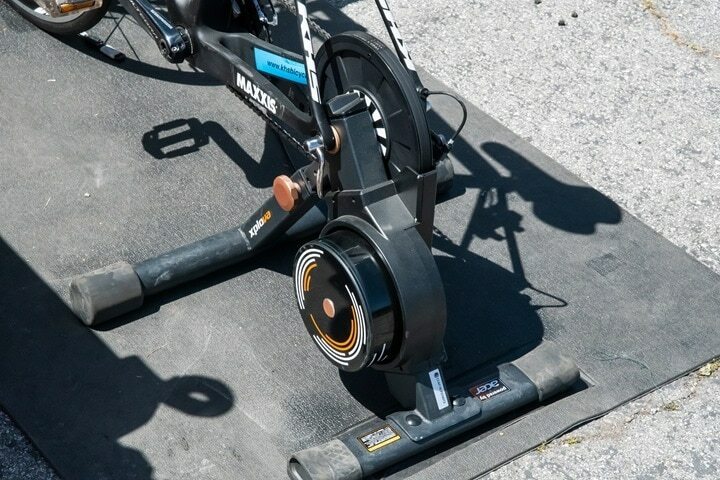 For example, for the Gran Fondo held at Sea Otter on Sunday, looking at the stats for a random Strava segment – only a single person (out of 715) was riding with a Hammerhead unit. Just one. Five with Bryton. In the case of Hammerhead, I’ve highlighted them often (even in this very post). But it doesn’t seem like the offerings are catching on (albeit, probably for good reason). I like to highlight new entrants as often as possible, for as long as possible. Though, at some point one probably has to figure out if there’s true interest, or just assumption interest. Meaning, the assumption that because something is at a bike show that people will in turn want to buy it. I try and strike that balance as best as possible. If a device is great but no one knows about it I would guess they wouldn’t make much of a dent. If this site was a small player then sure, don’t waste effort in things no one knows about but this sure isn’t. So why care about number of head units on bikes at Sea otter? It’s the same as the rest of the world where people buy and use what they know. 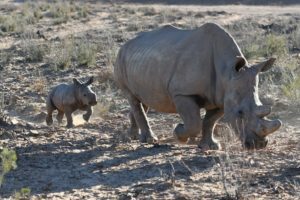 Hammerhead is a bad example, they have had lots of issues. Your last in depth Lezyne review was how many years ago? 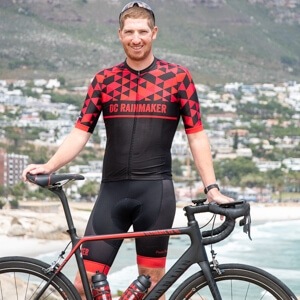 This isn’t the only cycling media outlet, and many other sites have actually given the Hammerhead somewhat positive reviews. The point of the stats there is if there was any uptick there, then we’d see it. I’m happy to give other devices a shot (and often do), but there’s also an element of balancing time (which is limited) – against things people are clamoring to hear about. Also, just because I don’t write a full review doesn’t mean I don’t test/ride/etc it. Lezyne being a great example of that. I’m not sure where to start my 2c worth on this. I’m in hospital feelng sorry for myself for a week so let’s try this and hope the morphine has worn off 😉 ..
1. 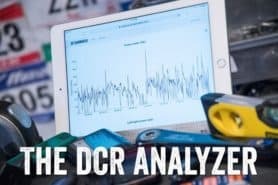 DCR’s views move the market. Both in terms of direct unit sales and in terms of opinions. 2. Other channels like GCN probably have a great reach too. they are entertaining but sometimes it seems like they are paid product placements. 3. 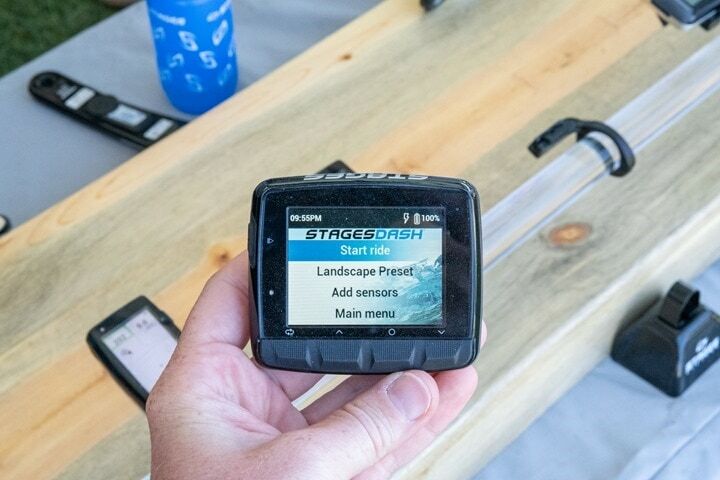 Garmin’s products have the most features. Ray’s ‘death by a thousand cuts’ comments is the one that best defines the impact of this. It’s just safer for a ‘feature buyer’ to buy a garmin unless you do lots of research to buy the product that’s right for you. 4. 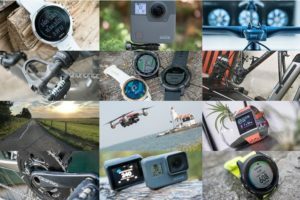 Trust me, Garmin is the ONLY GPS sports company that ANY blogger will make any money out of. Perversely I have no relationship with Garmin other than as a buyer. 5. There are good products out there. Hammerhead was mentioned and I think it’s good for a given purpose (I reviewed it well after the launch). Mio and Lezyne products can be good too. Can I get a unit out of Lezyne or Bryton?..no. Even with Hamerhead and Mio/Cyclo/Magellan it really is not easy. 6. Does a detailed review drive sales? I think a detailed review only appeals to a certain demographic. I think the majority of buyers either read a couple of secitons plus the summary of a detailed review or, much more likely, go for a discount and some fuzzy feeling they have got from some other source (friend, previous experience, other marketing, pro). 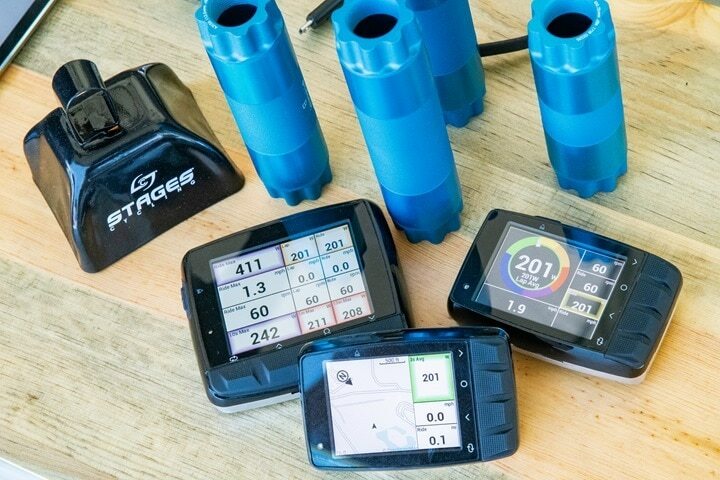 I would have loved to see an in depth DCR review of a Bryton device – the main reason I ended up with my ELEMNT over the Bryton or Lezyne was that I just couldn’t find the depth of detail on usability and features that I could get from your review of the ELEMNT. To be fair though I do like the ELEMNT; so thank you! Wahoo updated their fitness Android app. Redesign of the UI and finally brings the ability to pair a power meter to the trainer like the iOS app has had for a few years now. Ray, do you know how this works? I’m guessing does the same as power match in software but would have less lag. Had anyone compared the two? Is that color on a L10 screen or is it 2 L50’s and a M50 in that photo?